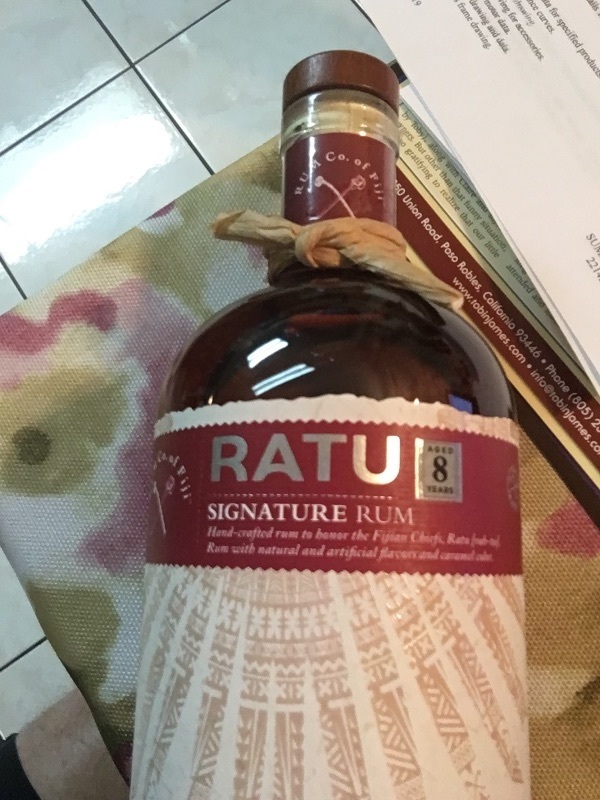 Have you found an online vendor selling Rum company of Fiji Ratu 8 year old? In der Nase extrem süss nach Kokos, Karamell, Schokolade, Orangen- und Zitronen Schalen. Dahinter kann man noch wage den ursprünglichen Rum erkennen mit Frucht und Holz Düften. Im Gaumen süss wie Sirup, Kokos, Karamell, Schokolade.... Bounty ! (yes, Rasmus) Aber auch rote Beeren, Zitrusfrüchte, Honig, geschmorte Bananen...…. Im Abgang lang und klebrig süss, Schokolade, Kokos und Karamell klingen lange nach. Ein sehr süsser Liqueur (Zuckerbombe) der durchaus Spass macht. Als Dessert oder zum Nichtstun, für Liqueur- und Süssrum Liebhaber. Caramel-coloured mahogany in the glass. In the nose extremely sweet to coconut, caramel, chocolate, orange and lemon peel. Behind it you can still see the original rum with fruit and wood scents. In the finish long and sticky sweet, chocolate, coconut and caramel linger for a long time. A very sweet liqueur (sugar bomb) that is a lot of fun. As dessert or for doing nothing, for liqueur- and sweetrum lovers. Enjoyed some Ratu 8y Rum while vacationing in Melbourne. Rather nice bottle and label design. Mahogany color. Coconut and chocolate to the nose and palate. Mild burn at the end being so sweet. Hard to mix this one up and too sweet to be neat sipped. In the aroma very strong coconut accent. Maybe is possible to smell sugar. The rum is very liqueur, very sweet. The taste very reminds me one the type of sweet - rum ball (coconut, chocolate, cocoa and rum). Like others have said, it is a sweeter rum more like a syrupy liquor. Has the taste of coffee within, like Kahlua, possibly some chocolates notes as well. Not bad neat, but may be good with some mixers as well. It’s easy to drink. This is an incredibly sweet rum liqueur almost Kahlua. The rum equivalent of a desert wine perhaps. Not at all harsh, pleasant to sip on ice but has an incredibly overwhelming vanilla and coffee note. I couldn't imagine drinking more than one or two and even then after a meal. Its not awful, but it's hard to consider it a rum. Now, I will try to be as levelheaded as possible about this one, but it will be hard, because this was horrible. I love a Bounty now and then, but a rum that tastes like a liquid Bounty gets a hard pass from me. Overall: This is just to sweet. After a sip or two I passed it on to my girlfriend (major sugar junkie), and she was almost unable to finish it, which to me is a indicator of a rum, that have lost it ways and have become more of a syrup, than a liqueur. 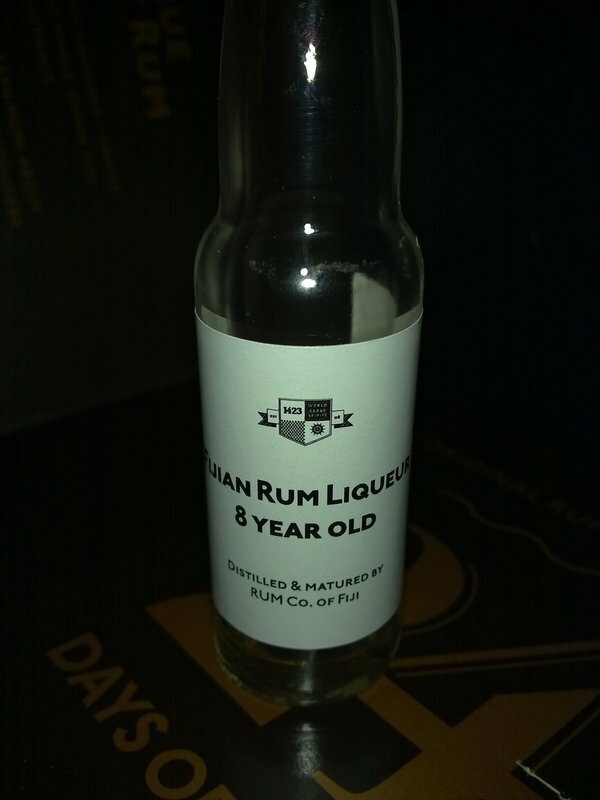 Got this in a rum advent calendar and whilst most of them smelt and tasted very similar this was a pleasant change. Really sweet coconut and chocolate taste/smelling liquer. At 35% vol this could get messy as it's too easy to drink. Very nice liqueur style of rum. If you are looking for a soft, vanilla, cocoa rum, it is a good choice. Rom likör från Fiji i 12 luckan. Doftar sött, kokos kola. Otroligt söt smak, skvallrar om otroligt mycket socker, nej denna vaskas. It can perfume whole room and give it a chocolate smell, however taste goes horrendously wrong. Calling it oversweetened water is being too soft, it gives me shakes when drinking it. Kokos och choklad. Söt och fyllig smak, lite som en pralin. Vune neni uplne spatna - kokos, mandle. Rum je ale nesnesitelne sladkej - krmeni pro vcely. To je vse co se da rict o chuti. A Fijian rum that when it got to 8 years old the maker's decided to turn it into a liqueur ??? what the hell for ?? The 5yr old was perfectly acceptable so you would think an 8yr old version would be even tastier..
Obviously not ! The rum has had ingredients added to make it taste like dark chocolate , coffee , coconut and orange zest. It's very sweet but would make a nice after dinner treat , im guessing would be nice over ice cream. Only 35% but still has a bit of a kick..
Made from sugar cane and harvested on Fiji , filtered through coconut shell charcoal then aged in charred oak barrels for 8 years before being adulterated !! Again , why ?